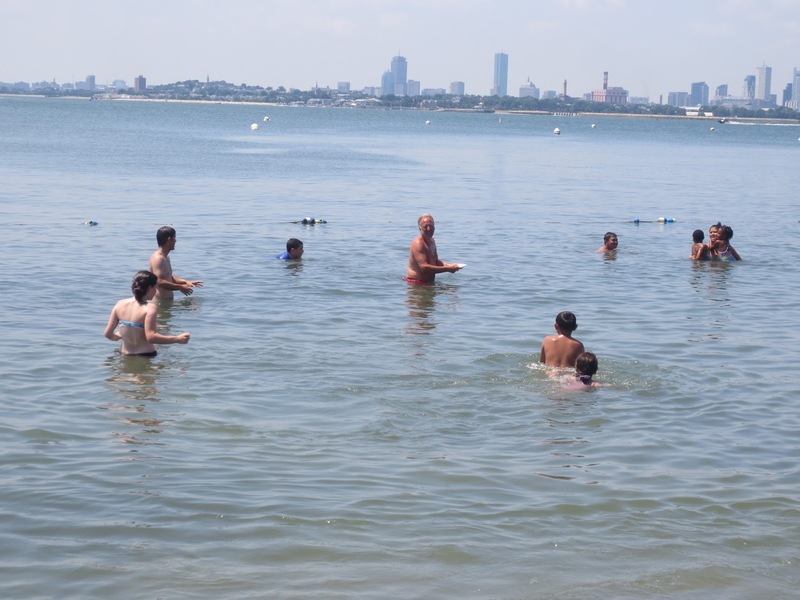 Frisbee Guy is back to tell you about the rest of the fun we had at Spectacle Island. It was a great day on Wednesday, even though it was the hottest day of the summer. Then, Thursday came. Guess what?Yup .... it was even hotter. We began our day as we always at the Bank of American Pavilion. After all the groups arrived it was was time to sail off to Spectacle Island. This trip had the greatest amount of kids so far this summer on the Harbor Islands. Lunch was our first item on the agenda. Once we were done eating it was time to explore Spectacle Island. I began with a hike up to the top of Spectacle Island. The view of Boston from atop of Spectacle Island was amazing. Since the weather was scorching hot, I decided it was time to head off to the water. I grabbed my frisbees and headed into the water. Most of the groups decided not to go swimming today. Luckily one group decided to swim. This group was none other than our friends from Revere. I spent the day teaching the kids from Revere how to throw and catch frisbees. We decided to play a game called 1000. The way you play is one person is the thrower and shouts a number; for example - - 500. If someone catches the frisbee they would earn 500 points. The person who adds up to 1000 first becomes the new thrower. We played a few games of 1000. 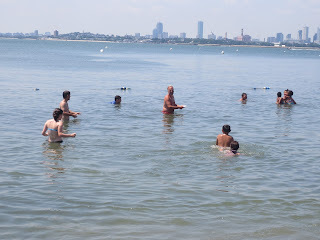 After the games the staff joined me in the water to play frisbees with our friends from Revere. Soon after it was time to head back on the boat to town. 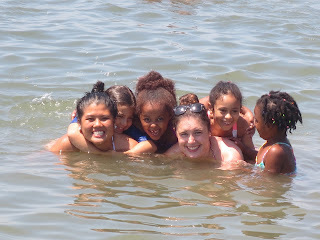 All in all, it was a great first week of Frisbeach! See ya' next week as Frisbeach sails off to George's Island.